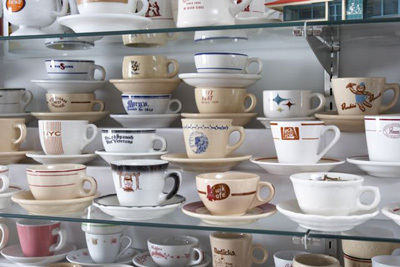 Vintage China cups, saucers and mugs are great items to collect. 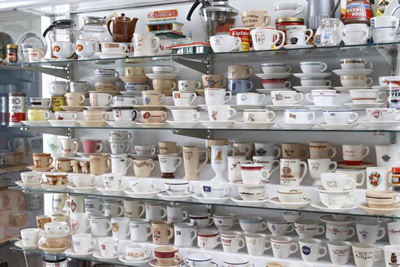 It is impossible to know how many different cups are out there so you can always have something for which to hunt. 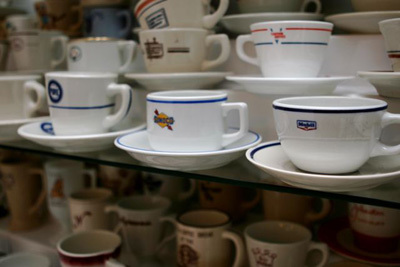 Big restaurant chains and little local joints could have had their logo on cups and mugs. 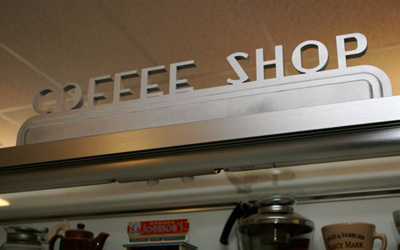 Huge corporations used them in executive dining rooms. You could have also found them on ships, trains and planes. 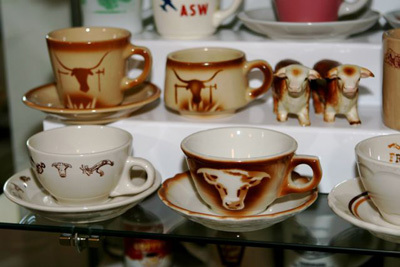 And, of course, coffee companies used them to promote their products. 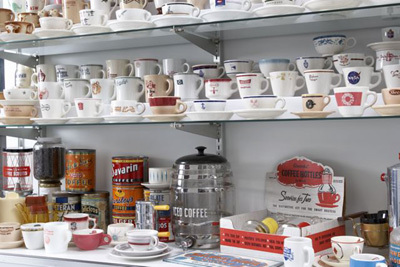 Thus, there’s no shortage of these collection items. A couple of good reference books are Restaurant China Volumes One & Two by Barbara J. Conroy. 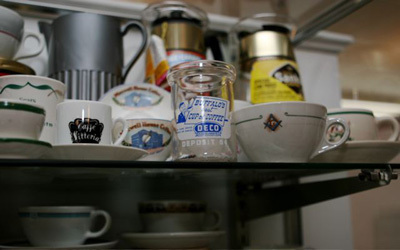 While searching for cups with logo’s you will also find some very cool generic patterns as well. Most are very affordable and can be used everyday. 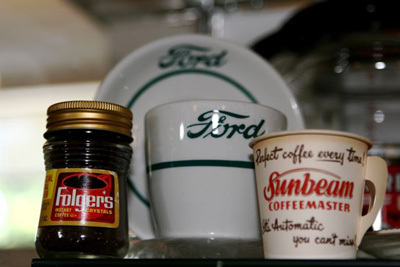 Also be on the lookout for coffee cans and coffee jars which accessorize your collection nicely. Happy hunting!